Why consequences mean punishment, and how to get around them. Next time you find yourself about to blurt out a threat or give a "consequence," try one of these responses. "My 3 year old was sitting on the couch after bath wearing her towel and said NO about 5 times when asked to get into her pj's. I was busy with the baby and I heard my husband say "OK fine -- no books then!" so I said "Hey! We've got a problem -- it's bedtime and you need to be in your PJ's -- How do YOU think we should solve it?" And just like that -- she got a big grin her face, suggested we all clap our hands and march our feet and we formed a line right into her room -- happily! Same thing for teeth brushing and potty later! Each time I said "Hey, great problem solving skills! Thank you!" And her response? "You're welcome Mama -- no problem!" Most parenting experts suggest that when children "misbehave" the best response is "consequences." Parents are told that letting children experience the consequences of their poor choices will teach them lessons. Makes sense, right? Natural consequences can teach important lessons. We all have to learn that if we don't remember to take our lunch, we'll go hungry. In other words, Consequences mean Punishment. Whether you're threatening a timeout or the loss of a privilege, that is punishment, which is defined as causing another person physical or emotional pain with the purpose of getting them to do things your way. Unfortunately, research shows that punishment raises kids who behave WORSE and are LESS MORAL. I know, that seems counterintuitive. But when the discipline comes from outside, the child isn't actually CHOOSING to "be good." So he isn't building those self-discipline muscles. And since he's being good only to avoid punishment, he isn't building moral muscles either. In fact, since punishment creates power struggles, kids who are punished go on the defensive and blame everyone but themselves. Inside, though, they feel like bad people -- which makes it hard to "act good." 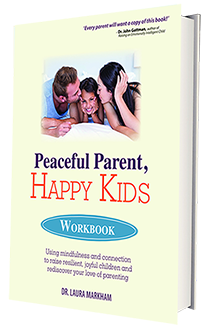 Worried about what you'll do without the threat of Consequences to keep your child cooperating? Next time your child refuses your guidance and you find yourself about to blurt out a threat, try one of these responses instead. 1. Let your child solve it. "You haven't brushed your teeth yet and I want to be sure we have time for a story. What can we do?" Like the child in the example above, it's amazing how children step into responsibility when we offer it in a collaborative way. They love to help, and to solve puzzles. Sometimes they just need a little respect. 2. Partner for Win/win solutions. If your child doesn't offer a solution that works for you, explain why and help her come up with one. "You think you should just skip brushing teeth tonight? Hmm...that doesn't work for me because your poor teeth would stay germy and they could get tiny holes in them. What else could we do to get your teeth brushed and time for a story? Want to put your pjs on, and then brush?" Once your child believes that you're serious about win/win solutions, she's much more likely to work with you to find a solution that works for everyone. 3. Invite cooperation with your phrasing. "Go brush your teeth now." - Since no one likes to be told what to do, a direct order like this often invites resistance, either directly or in the form of stalling. "Can you go brush your teeth now?" - Many kids will reflect on this and just say No. Don't phrase your request in the form of a yes or no question unless you're willing to accept No for an answer. "Do you want to brush your teeth now, or after you put your PJs on?" - This strategy works because you’re extending your child the respect of giving him some control, at the same time that you retain the responsibility of making the decisions you need to as his parent. Only offer options you can live with, of course. "You may brush your teeth now." - Almost sounds like a privilege, doesn't it? This is a command, but a respectful, calming one. Works especially well with kids who are over-stimulated by bedtime and overwhelmed by choices. 4. Ask for a Do-over. "Oops. I told you to brush your teeth and you ignored me and then I started to yell. I'm sorry. That's now how we relate to people we love. Let's try a do-over." This is a great way to interrupt things when you're headed down a bad road. Get down on your child's level and make a warm connection. Look in her eyes. Touch her. "Ok, let's try this again, Sweetie. It's teeth brushing time! How can we work as a team here to get those germs off your teeth?" 5. An ounce of prevention is worth a pound of cure. Before transitions, give ample warning AND spend a few minutes connecting with your child. 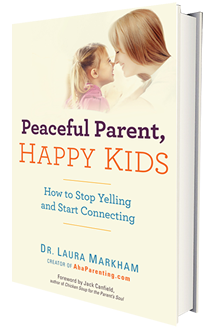 Think about what usually triggers problems for your child and take pre-emptive action. 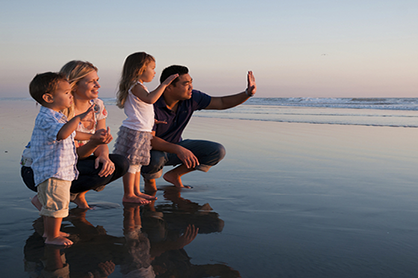 If there's something that your child usually resists, always leave extra time to get it done, so you're relaxed. Sidestep power struggles in general, so she's more likely to cooperate when you really need her to. 6. 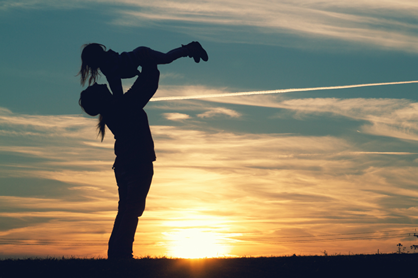 When your child defies you, focus on the relationship, rather than on discipline. A good relationship is your foundation; guidance doesn't work without it because your child stops caring about pleasing you. A child who is rude is either very upset, or expressing her need for a better relationship with you. In either case, "consequences" will make the situation worse. I'm not suggesting you put up with rudeness, just that you see it as a red flag to do some repair work on the relationship. 7. Make sure your expectations are age-appropriate. A one year old needs a baby-proofed house, not to learn by consequences how to leave the TV alone. A four year old needs your help to get through the bedtime routine, not to lose reading time with you when he gets distracted and dawdles. 8. Get to the root of the problem. Usually when kids defy us, they're asking for help with their emotions. You'll know this is happening when your child seems unhappy and is making you unhappy; when whatever you try just doesn't work. At those times, your child is showing you that he has some big feelings he needs to express, and he needs your help. He may be angry, or afraid, or sad. He may just need to cry. So if you set a limit and your child defies you, forget about punishment and consequences. This is a red flag that he needs your help. Connect with him, restate your limit with kindness and compassion, and listen to his upset. After your child gets a chance to show you all those feelings he's been stuffing down, you'll find him much more cooperative. 9. Engage the thinking brain by creating safety. "You are so upset. You were having so much fun playing with Daddy. Then he told you to go brush your teeth. You were mad, right? ...... Then Daddy said No story tonight. Right? .... Now you are sad and mad.... I am right here. You are safe. I love you. Daddy loves you. Daddy was upset, too, but now he is here to hug you. ... Let's find a way that we can all have a good evening and feel good when we tuck you in to bed. Maybe we all need a Do-Over?" This builds emotional intelligence in your child -- and in your partner. And even if it doesn't get you all on the same page, at least it gets you into the same book! I'm not suggesting that you move heaven and earth to protect your child from the natural outcome of his choices. We all need to learn lessons, and if your child can do so without too much damage, life is a great teacher. (Meaning, you won't let him get a concussion to teach him to wear his bike helmet.) But you'll want to make sure these are actually "natural" consequences that your child doesn't perceive as punishment so they don't trigger all the negative effects of punishment. 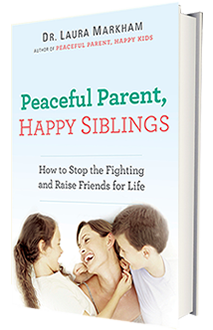 What's more, you'll want to be sure that your child is convinced that you aren't orchestrating the consequence and are firmly on his side, so you don't undermine your relationship with him. "Of course I will bring your lunch to the school, Sweetie. I don't want you to be hungry. But try to remember it tomorrow." - Child may or may not remember his lunch tomorrow. There is no harm in doing this once or even twice, if you can do it easily. We all have forgotten things like lunches, and it is not a sign that your child will be irresponsible for life. But it is a signal that you need to help your child with self-organization strategies. "Ok, I will bring your lunch but this is absolutely the last time. You would forget your head if it weren't glued on and don't expect me to always drop everything to bail you out." - Child does not learn to remember lunch but does learn that he is a forgetful person who irritates his parent. In the future, he acts in accordance with this expectation. Now, what about this approach? "I'm so sorry you forgot your lunch, Sweetie, but it doesn't work for me to bring it to you. I hope you won't starve and I will have a snack waiting when you get home." Child learns to remember lunch AND feels cared about AND self image stays intact. Retraining yourself can be tough. But as Rebecca Eanes, author of Positive Parenting: An Essential Guide says, "Throw the word "consequence" entirely out of your vocabulary and replace it with the term "problem-solving." You'll be amazed at the miracles you can make.